The number of companies offering sell and rent back schemes have proliferated recently as homeowners have seen their house prices drop dramatically rendering them overextended and unable to keep up with monthly mortgage payments. These schemes allow owners to quickly sell their properties to interested companies, and then rent their homes back from these companies immediately. These schemes then allow companies to snap up properties quickly with tenants from the start, and the homeowners can sell quickly, settle their debts with the payments and still remain in their own homes. Companies which offer sell and rent back schemes not only make their money from quick sales and immediate tenants, but because they are able to buy properties for below market value. Typically such companies will pay 75% to about 80% of the actual cost of a property. But many homeowners perceive the benefit of a very quick sale outweighs the loss of money that might result from a lengthier sale process i.e. : no need to put the property on the market; no need to show it to many different interested parties; fees and associated costs are paid by the company and they can still stay in their own homes after settling their debts. Sometimes companies will even allow people to pay below market value for rent, if the market value for rent was lower than previous mortgage payments. The discretion of many companies, promising that there is no need to unduly publicise the sale so friends and neighbours may never even find out about the change from homeowner to tenant, may also be attractive to those considering sell and rent back schemes. The most blatant disadvantage of a sell and rent back scheme is the loss of 20% - 25% of the market value of a property if sold to such companies. These companies are not usually associated with longstanding, well established property or finance organisations. Many are able to pop up now because the Internet allows them to operate without any real overheads. There are not necessarily any guarantees from sell and rent back companies so some may only offer a shorthold tenancy and the previous homeowners will then be out of their homes six months to a year after selling their home for a bargain price anyway. Full regulation of sell and rent back companies is anticipated for the second quarter of 2010, when such companies will need to be registered with the Financial Services Authority. Until then however, less scrupulous companies may still operate. Sell and rent back schemes offer homeowners a guaranteed buyer, quick sale and the opportunity to stay in their own homes. Unfortunately they also offer homeowners a massive reduction in price for their properties and many may not even offer long term tenancy arrangements following the sale. 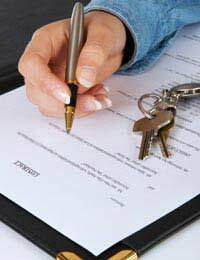 Homeowners considering sell and rent back schemes should investigate any companies with whom they might work and ensure that they understand all documents involved in the transactions so that there are no unsavoury surprises down the road.